Musicians on the road now have a stylish solution to their travel woes. 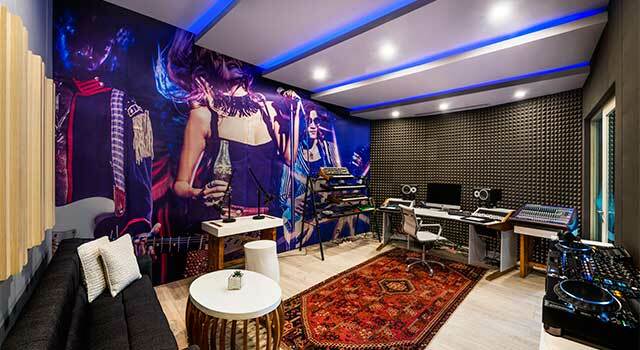 W Hotels Worldwide has picked the brains of their North American Music Director, Paul Blair — also known as DJ White Shadow, the producer behind Lady Gaga's Born This Way and Artpop — to create a suite for artistes to feel right at home. Or studio. 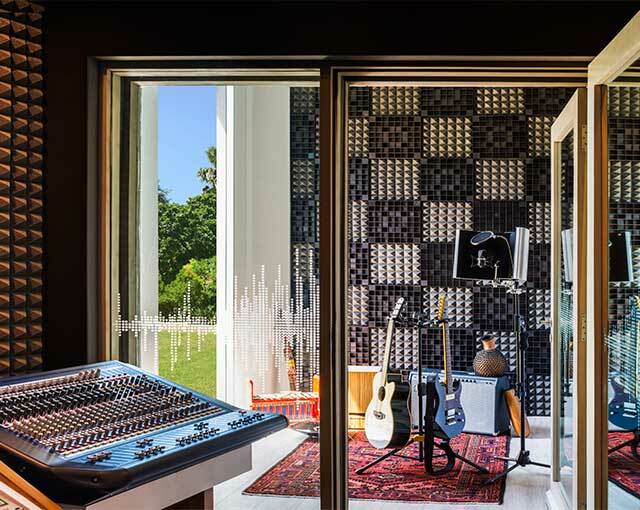 The W Sound Suite — which premiered in W Bali with plans to find homes in W Hollywood, W Barcelona and W Seattle — is designed by Josh Held Design and fitted with sound equipment and a studio layout recommended by DJ White Shadow. You'll find a lounge roomy enough to accommodate crew and groupies, a main mixing room with professional equipment from Native Instruments, Pioneer and Moog, and a private vocal booth. The need for such a space stemmed from common inconveniences faced by musicians today: Costly studio and equipment rentals, and a lack of privacy and space that won't disturb other guests. And what's artistry without a little liquid courage? W Hotels have also rolled out a new cocktail menu to celebrate this launch, with drink and food combos named The Diva, The Rock Star, The Indie Kid and The Jazz Hands among some. The Indie Kid even features the local Indonesian Bintang Beer, while The Diva makes it rain with a combo of Lanson Brut Champagne and lobster Salad with Osetra Caviar. W Bali is also hosting a new series, "Sounding Off With...", featuring monthly podcast-style conversations revolving around touring artistes, with LA-based electronic indie duo Classixx kicking things off.